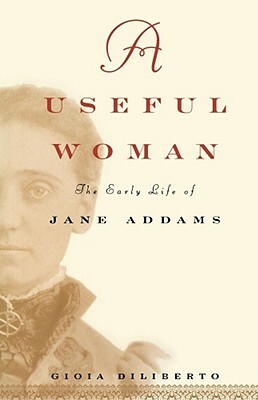 "The first biography in twenty-six years of Jane Addams -- founder of the Hull-House settlement and winner of the 1931 Nobel Peace Prize -- written with access to hundreds of new family documents." "Today, Jane Addams is widely recognized as an extraordinary figure in our nation's history, one of a roster of great Americans -- Abraham Lincoln and Martin Luther King Jr. among them -- who made lasting contributions to social justice. But as with the lives of many iconographic figures, the legend often obscures the real story." Frequently recognized as one of the most influential women of the century -- and considered a heroine by nurses and social workers around the globe -- Jane Addams had to struggle long and hard to earn her place in history. Born in 1860 on the eve of the Civil War, she lived during pivotal times when women were only beginning to create new roles for themselves (ironically building on the Victorian ideal of women as ministering angels). Focusing on her metamorphosis from a frail, small-town girl into a woman who inspired hundreds of others to join her movement to serve the poor, "A Useful Woman" delves into the mysterious ailments and other troubles young Jane faced. Examining for the first time Jane's physical and mental health and the effect of her father's remarriage after her mother's death, biographer Gioia Diliberto directly links Addams's proneness to depression to her inability to conform to the mores of her time. Also, for the first time, she examines in detail Addams's two marriage-like relationships with women. With hundreds of previously unavailable documents at her disposal, Diliberto has written a fascinating study of one of the most intriguing and important women in history, concentrating on her difficult formative years with compelling -- and groundbreaking -- results.